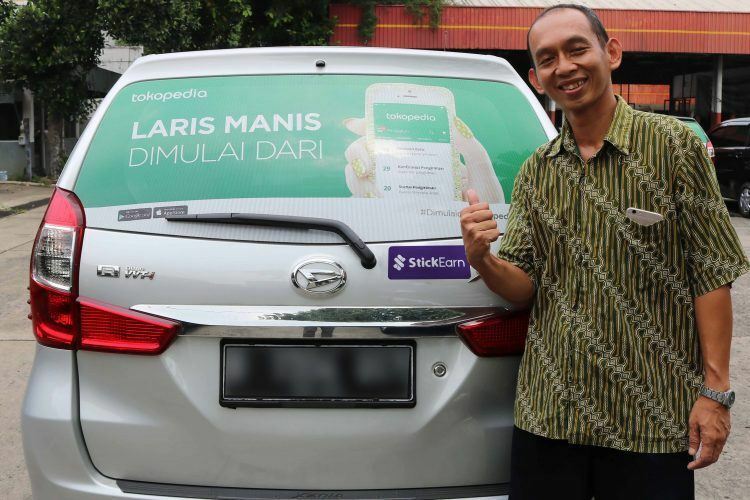 A wrap ad for Tokopedia provided by StickEarn. Photo credit: StickEarn. 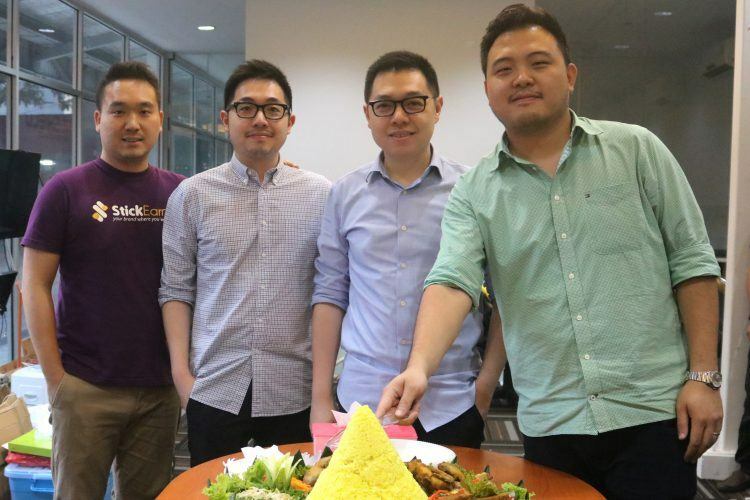 Indonesia’s StickEarn has secured US$1 million in seed funding from East Ventures, the VC firm told Tech in Asia. The vehicle advertising startup acts as an intermediary between advertisers and car owners, who are paid by StickEarn to place ads on their cars and then drive around targeted areas to capture the public’s attention. These ads typically take the form of adhesive “wrap advertising” that can be stuck onto the windscreens and windows of cars and other vehicles so as to be visible to people outside. This form of out-of-home advertising has become a fairly common sight in many cities, with US startup Wrapify as one of the most well-known players in this space. But StickEarn’s co-founders realised this was almost non-existent in Jakarta, which has one of the world’s highest volumes of traffic. People in the capital city spend an average of two hours each day on the road sitting in cars, or on scooters and motorbikes. StickEarn co-founders: Archie Carlson (L), Sugito Alim (LM), Hartanto Alim (RM), and Garry Limanata (R). Photo credit: StickEarn. Apart from recognizing the significance of this opportunity, StickEarn has also leveraged technology to allow advertisers to launch, track, and analyze their vehicle-based campaigns through its mobile app. Drivers can use the platform as well to keep them informed about where and how long they should be driving to fulfill their clients’ requirements. The startup launched in January this year. As of this month, it is operating in 14 cities across Indonesia. It has worked with 50 companies, and tens of thousands of drivers have signed on as partners, said co-founder Archie Carlson. Other companies in Jakarta that offer similar app-based vehicle advertising services include Ubiklan and Karta.